A return visit for me this week. I was asked by the ladies at the Stour Valley flower arrangers to teach another workshop for them. The ladies meet on the second Monday of the month at the village hall at Old Wives Lees, near Chilham. It was a fabulous drive over the Downs from Faversham. 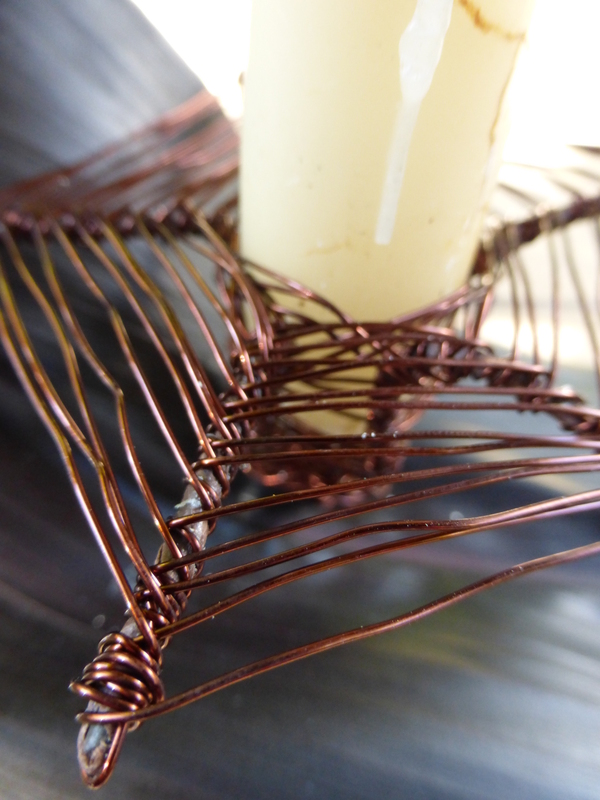 Last year we kept the flowers to a minimum and worked our fingers (and eyes) hard making woven wirework candle holders. 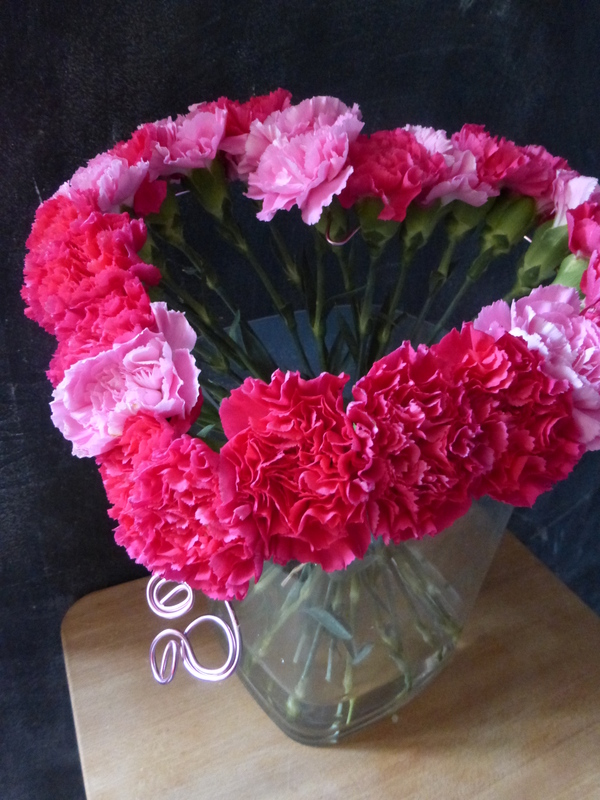 This time, we limited ourselves to a single flower type – the carnation – and worked with it from buttonhole to bouquet. Many of the ladies at the club had arranged wedding flowers and were able to assist their less experienced members with wiring and taping their buttonholes. The show-stoppers though were the carnation bouquets. 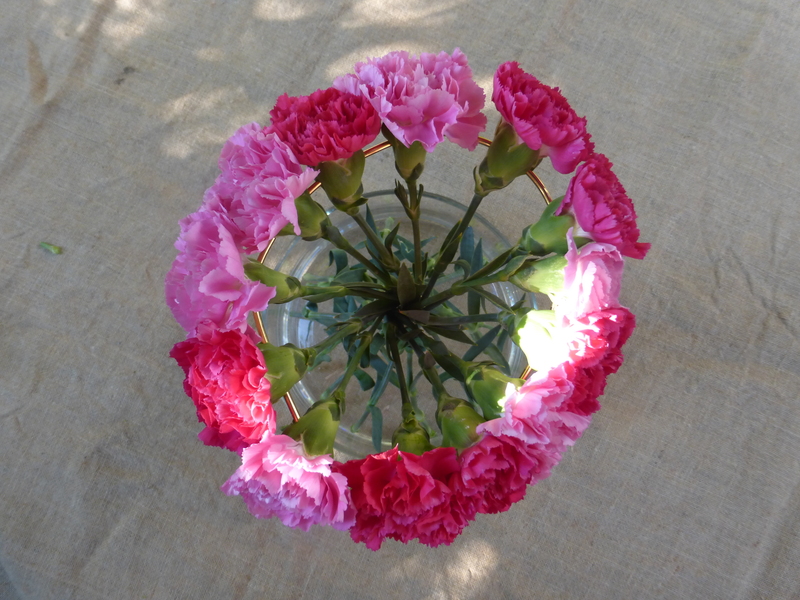 A rather under-rated flower, the carnation is widely available, inexpensively priced and has a sufficiently robust head that it can withstand workshop conditions. Sometimes, however, the stems do have a tendency to snap off at the weak node points. 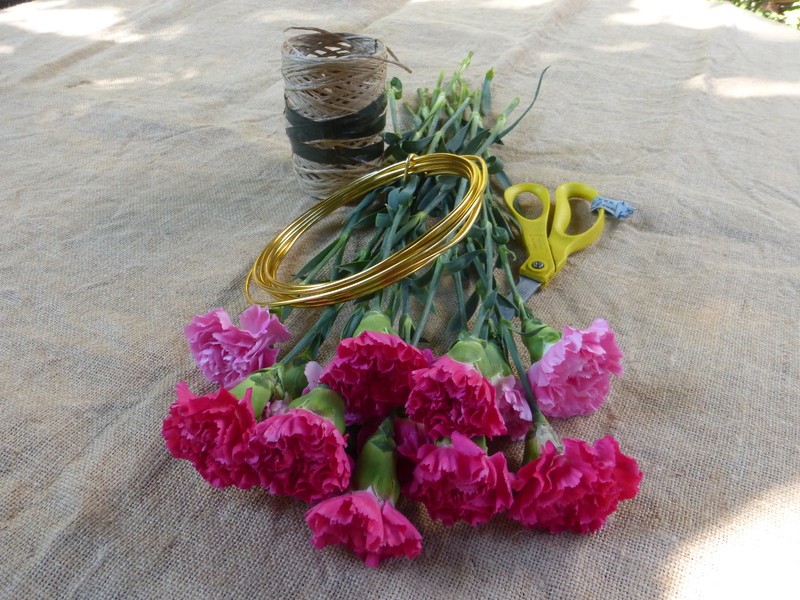 With a satisfying crunch the carnations were threaded onto decorative wire and then shaped into bouquets.